Full Mechanical and Fire Protection Installation and Services. Hood Builder is a full-service Hood, HVAC, and restaurant design service operating in and around Denver, Colorado. We also offer full mechanical and fire protection installation and services. If you have a restaurant or hospitality business and you want a one-stop shop for restaurant general contracting, we are the business to call. Get a free quote today! If you are planning on opening a restaurant in and around Denver, why not start from scratch? We offer the best restaurant design services this side of the Rockies. We can complete new commercial kitchen construction services or reconstruction in case you want your restaurant to be a fixer-upper. Our commercial kitchen construction services come highly recommended. We work with all modern restaurant equipment and know how to design a kitchen that’s made for constantly busy work. Whether you are building from the ground up or you’re working with a pre-existing building, our restaurant builders know how to design an interior you can be proud of. It’s likely that you have a restaurant design in mind already. You may know you want to lay out your dining room so that your patrons feel comfortable and relaxed as they enjoy their meal. 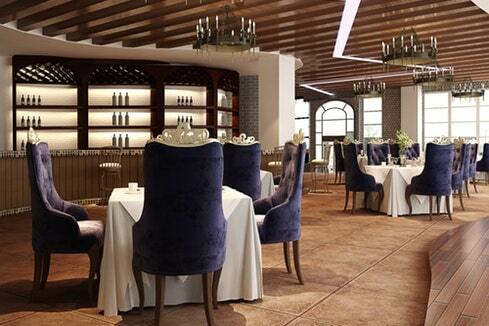 We can take your vision and expand on it to deliver the restaurant interior design services you crave. We are known for building restaurant layouts that are pleasing to customers and logistically viable for restaurant staff. There are many factors to consider with restaurant interior design and we have the expertise to ensure a positive atmosphere for customers and staff alike. For over 25 years, we have been providing our clients with full construction, remodeling, and cleaning services at competitive pricing. Our leading team of mechanical, electrical, and structural experts and contractors can execute projects of any size, and are sure to exceed your expectations far more than any Hood Builder competitor. Not only can we provide you with restaurant renovation, repair, and restaurant design services, but we can maintain a safe atmosphere for years to come. We can ensure that restaurant layout design adheres to all safety and fire codes, but we don’t stop there. When it comes to your kitchen, we offer the very best HVAC hood services to keep the risk of dangerous fire to an absolute minimum. A large aspect of our Colorado general contracting business comes from our HVAC customers. 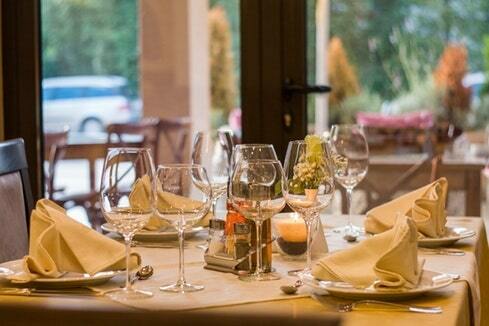 When running a restaurant or hospitality business, you want to ensure that your atmosphere always remains cozy. After all, customers won’t visit a restaurant where the air is stuffy or where impurities tend to hang in the air. Likewise, when your HVAC system isn’t working properly, staff morale can fall and that can spell bad news for any business. Instead, call Hood Builder to ensure that your HVAC and overall ventilation services are operating just as they should. This means that carbon dioxide, odors, and other impurities are scrubbed from the air before your HVAC system replenishes the oxygen to keep your customers happy and staff morale high. We can complete all aspects of a restaurant build, including maintenance and repair. Restaurant plumbing, for example, is incredibly important for safety and sanitation. We maintain strict codes of conduct and work quickly to maintain and repair your restaurant plumbing services using years of training and experience. We are the leading seller, designer, and installer of all ventilation systems and brands. From turnkey restaurant construction to commercial kitchen hood installation and fire suppression installation and service, we are where you can turn when you need ventilation construction or maintenance anywhere in the nation. As the leading distribution, fabrication and installation company for food facilities of any size, we are ready to handle your job with quality service and prompt care. We have offices and plants across the United States that are ready to tend to your every need. Hood Builder is the leading provider of turn-key restaurant services, including construction and cleaning. We offer fire protection products, including the installation and service of fire extinguishers, fire sprinklers, and fire alarms; restaurant build up and general contracting; and ventilation hoods installation, service, and cleaning. For HVAC parts, we only supply the best of the best. We can also install your HVAC system, maintain it, and clean it as necessary. But we don’t only specialize in restaurants. We also provide turn-key design, construction, and maintenance of commercial food trucks and trailers. A busy restaurant always has a high risk of fire. All that equipment and the constant act of cooking can lead to grease buildup. If your ventilation hood systems aren’t working properly, that built-up grease can lead to dangerous fires breaking out. We can maintain and service your HVAC hoods to keep risk of fire to a minimum. Regular commercial kitchen hood cleaning can also help to prevent grease buildup and keeps your kitchen air safe and breathable for your cooking staff. There are many aspects to commercial hood system, including cooker hoods, exhaust fans, and restaurant grease interceptors, just to name a few. We have the expertise and parts to help with all aspects of your commercial restaurant equipment, including your hood systems. If fire does break out, we offer the latest in high-tech fire protection systems. We can provide you with fire protection installation so that any fires are extinguished rapidly and before they can lead to serious damage or harm. We can then regularly maintain your fire suppression system or provide you with fire protection repair in order to keep your business, customers, and staff safe. Your restaurant deserves to have a professional restaurant contracting service on call. 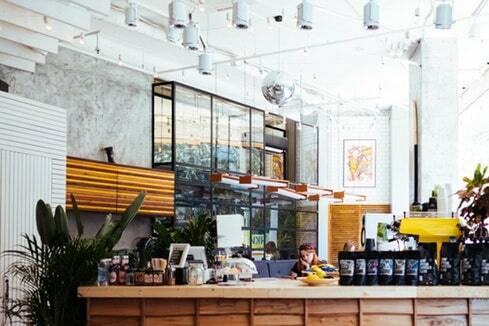 That way, you can ensure that your restaurant interior design remains clean, your HVAC system is always in good working order, and your fire suppression systems are always prepared to keep everyone and everything safe. Our restaurant contractors are trained to show up in a professional manner and with all the tools and equipment they need to get the job done right the first time around. We work efficiently and clean up afterwards so that you can maintain a professional business, even when things break down. You’ll never have to worry about a malfunctioning exhaust fan or fire suppression system when you work with Hood Builder. As the restaurant general contracting experts, your restaurant is always in great hands. If you operate in and around Denver, Colorado, we can build and design a new restaurant or provide you with restaurant remodeling to bring your dream to life. 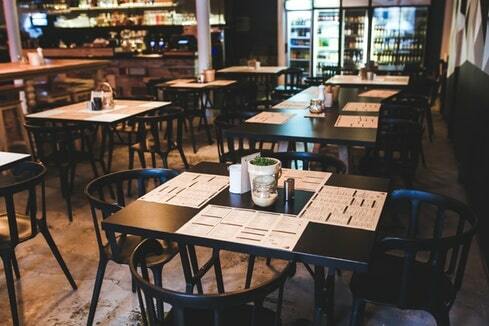 We can provide you with restaurant repair to keep your business in the best condition all the year through, and we can provide you with restaurant cleaning to keep your business attractive for your clientele. Most importantly, we can ensure your kitchen operates efficiently with hood installation and repair, fire suppression system maintenance and repair, and HVAC – heating and air condition maintenance and repair. In short, when it comes to restaurant building, construction, remodeling, HVAC systems, fire suppression systems, ventilation hoods, or any other aspect of your business, Hood Builder is there to help. Call today and receive a free quote. For a Full and Fast price Quote, Contact Hood Builder today at (866) 399-9852.